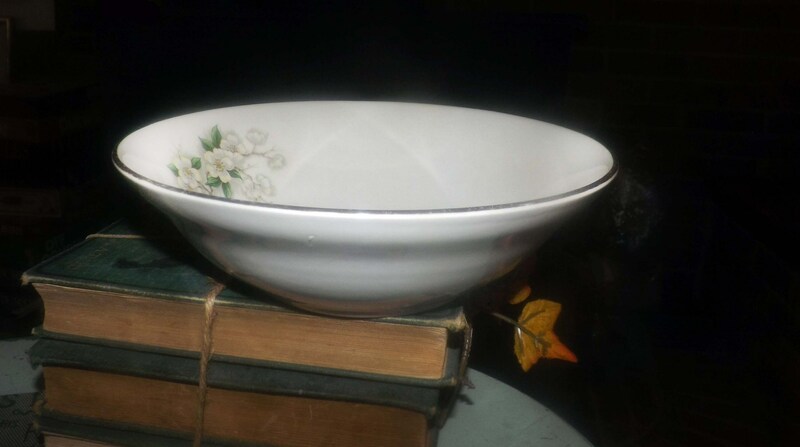 Early mid-century (1940s) Georgian China Spring Blossom vegetable | serving bowl. 22K gold edge Made in USA. 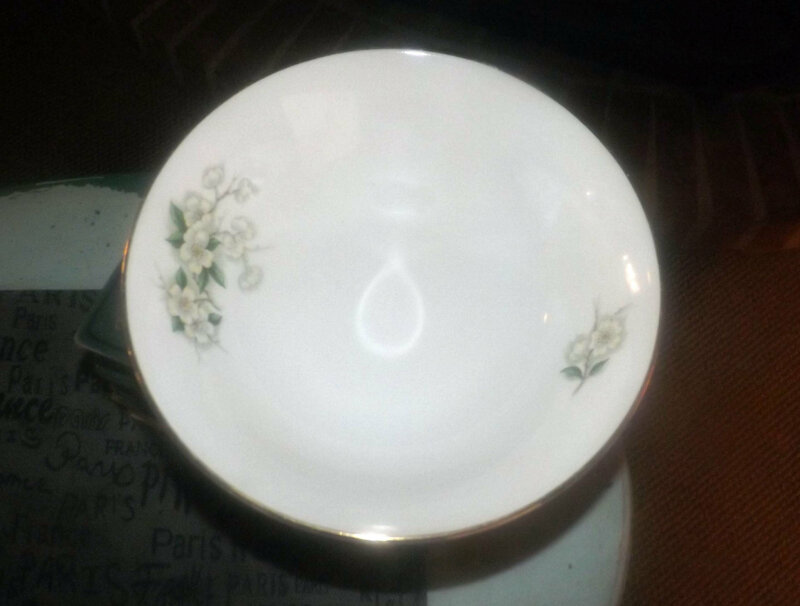 Early mid-century (1940s) Georgian China Spring Blossom vegetable serving bowl. 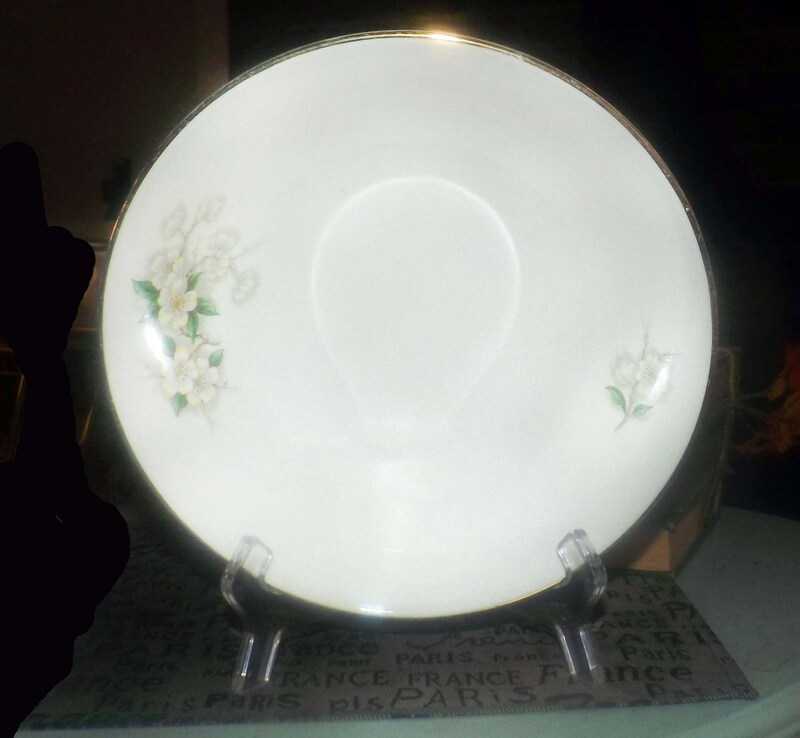 Spring Blossom features white and yellow florals - apple blossoms - on the branch with pops of greenery and with smooth edge trimmed in 22K gold. 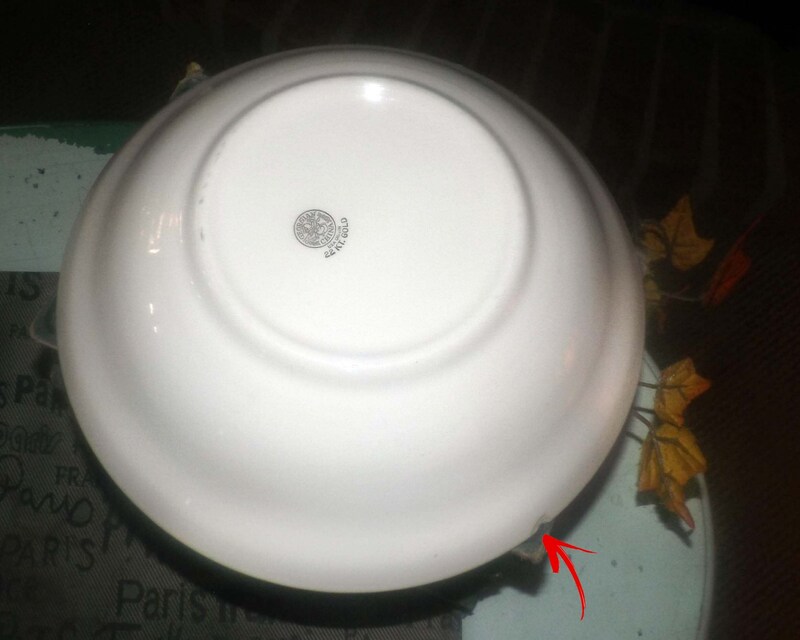 Proudly made in the USA, this open vegetable bowl is in GOOD! vintage condition. There is a chip to the gold edge and MILD! 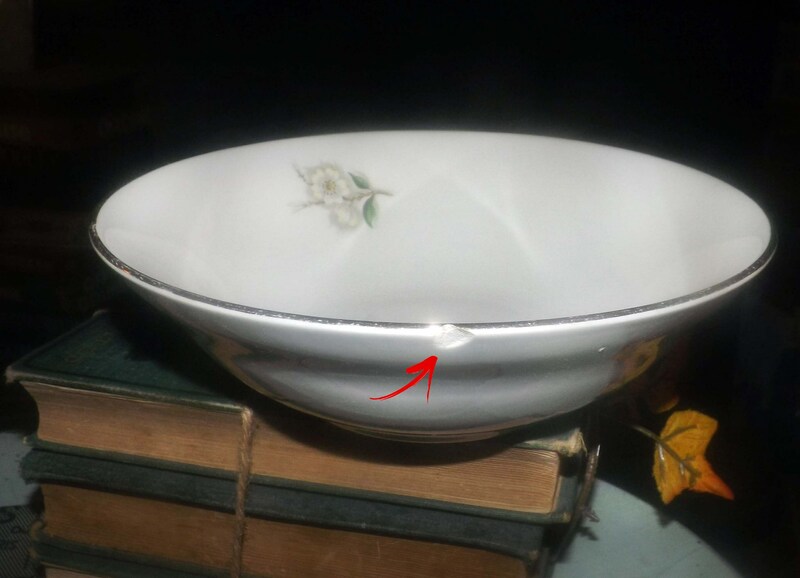 crazing to the bowl surface (please refer to each of the posted photos for a complete visual of the item). Otherwise, there are NO! other chips, nicks or fleabites and VERY MINIMAL! loss to the 22K gold edge. The yellow florals, brown branches and pops of greenery are bright and vivid with NO! fading apparent. Approximate measurements: 9" in diameter x 4" deep with a 22-karat gold, smooth edge.